Hire motorhomes in the county of Ayrshire and meet Vikings, explore crumbling castles and stately homes or relax by the coast! We’ll connect you with motorhome owners in Ayr, Ardrossan, Girvan, Irvine, Kilwinning, Largs, Prestwick and more! 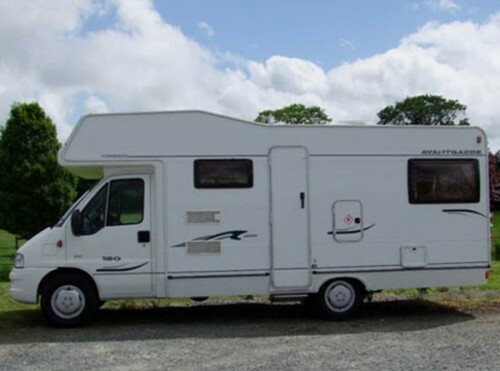 If you own an idle motorhome, rent it out on Camperbug and help keen travellers discover the UK! Set in Southwestern Scotland, Ayrshire or Ayr is a historic county and derives its name from the historic county town of Ayr. Situated on the shores of Firth and Clyde, in 1975 the county was divided into four districts, namely Cunninghame, Cumnock and Doon Valley, Loudoun and Kilmarnock. In 1996, added restructuring saw the eradication of the areas of Strathclyde and the division of Ayrshire into three districts: North Ayrshire, South Ayrshire and East Ayrshire. The region once housed Romans south of the Antonine Wall and later the Damnonii settlers. The area went on to become part of the Kingdom of Strathclyde which became the Kingdom of Scotland in the 11th century. The battle of the Largs saw Scotland successfully outsmart a Norwegian fleet attack and Sir William Wallace began his struggle for Scottish independence at the Ayr in 1297. The county is a coastal wonderland, and there’s much to see. Drop in at Burns Country for a taste of the life of Robert Burns or pop by the 18th century Culzean Castle and Gardens for a taste of 600 acres of greenery set right the Ayrshire coast. See the ruins of castle Blairquhan Castle, Dunure Castle, Dundonald Castle, Greenan Castle plus some historic houses. Shop till you drop at the Ayr central Shopping centre or see ship models and exhibitions at the Scottish Maritime Museum. Take the kids to meet the Vikings at Vikingar or see the prehistoric standing stones of Machrie Moor! Why wait? Savour the beauty of Ayrshire today with Camperbug motorhome hires! I am Dora, hire me today!